When you contact us via the form on the website or by e-mail, the data you enter will be stored with us for the purpose of processing the request and in case of follow-up questions. We will not share this information without your consent. Some Cookies remain stored on your device until you delete them. They allow us to recognise your browser on your next visit. If you do not want this, you can set up your browser to inform you about the placement of Cookies, and you can allow this placement to happen only in individual cases. Disabling Cookies may limit the functionality of our website. By default www.team-rauscher.at does not use social media Cookies and does not send information to social networks. Only actual activity on a social media service, such as liking or sharing content on our website or clicking on links to our social media profiles, is recorded. Our website contains links to other websites and social media platforms. When you click on one of these external links, we ask you to note that despite careful checks, we assume no liability for its contents. The content of these websites are the sole responsibility of their operators. Please also note that these websites have their own privacy policies. Please check these privacy statements, as we do not assume any responsibility or liability for websites of third parties. Data is processed on the basis of the relevant legal regulations: § 96 par. 3 of the Telecommunications Act, as well as art. 6 par. 1 lit. a (consent) and/or f (legitimate interest) of the GDPR. Our concern within the meaning of the GDPR (legitimate interest) is the improvement of our offer and our website. In principle, you have the right to information, correction, deletion, restriction, data portability, revocation and retraction. If you believe that the processing of your data violates data protection law or if your data protection claims have otherwise been violated, you can make a complaint to the relevant supervisory authority. In Austria, this is the data protection authority (“Datenschutzbehörde”). 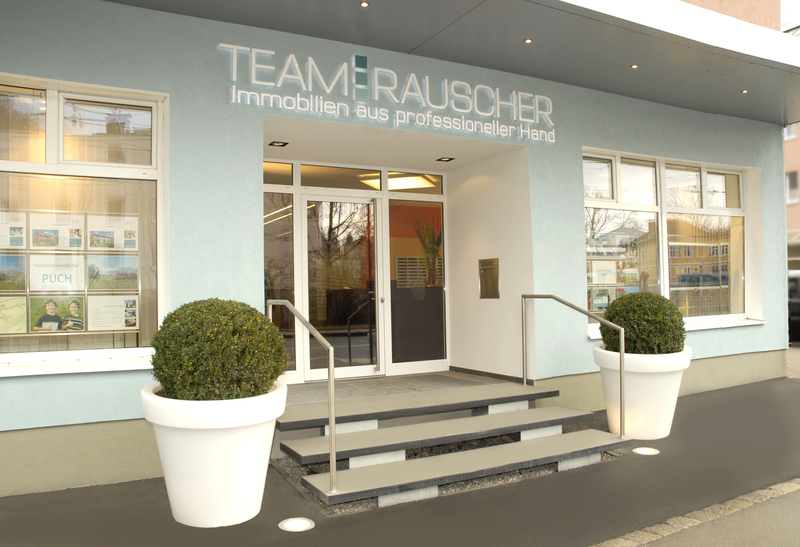 If you have questions, please contact us by phone on +43(0)662 88 02 04 or by e-mailing us at immobilien@team-rauscher.at.